In 2016, Dr Arvind Lal and his wife Dr Vandana Lal had much to celebrate together with their CEO Om Manchanda and the management team of Dr Lal Path Labs. With a revenue of more than RS 800 crores, the firm is among the leading diagnostics companies in India growing at a pace of over 20 % per annum. The pathology practice had a test menu of over 3,500 tests and panels and received more than 50,000 patients per day with 175 laboratories. The samples are being picked up from over 1,600 collection centres and another 7,000 pick-up points. The in-house reference laboratory that had begun functioning in Rohini in the National Capital Region since 2010 is presumably Asia’s largest facility. With all the leading accreditations up its sleeve including accreditation College of American Pathologists (CAP), the National Accreditation Board for testing and calibration laboratories (NABL), ISO 9001:2008 and ISO 27001:2013. But creating a large diagnostic empire has not been an easy task . Neither it was windfall or an instant success story. It was a humble beginning when Dr (Major) SK Lal ,father of Dr. Arvind Lal Founded Central Clinical Laboratory in 1949. It was the first private pathology laboratory of repute in Delhi and North India, which operated a blood bank along with that was later discontinued to concentrate on pathology. After his untimely death in 1977, Dr Arvind Lal took charge of Dr Lal PathLabs along with his wife, Dr Vandana Lal both specialists in field of Pathology and Lab Medicine . With their patient and continuous effor,t the practice grew to a size of about Rs 50 million in annual revenues by the 1990s. By Now, Dr. Arvind lal was leading a comfortable life with his daughter also a Pathologist married and settled in U.S.A. But, Dr. Lal was not content with this and somebody inside him aspired to touch zenith of quality service in Lab Medicine. He was acutely aware of the enormity of the unmet needs of timely diagnosis and treatment for millions of patients in the country who lacked access to timely and affordable medical care. He worked hard at the quality front, installing latest equipments and due to his continued efforts, Dr Lal Pathlabs became world’s largest histopathology centre, doing more than 1,000 biopsies a day and the second largest kidney biopsy centre globally. Need for expansion took him not only across India, but to other parts of the world .Besides strengthening its presence in South India and Eastern India, Dr Lal path labs established presence in the Netherlands for activities in the European Union plus Africa and another in Nepal to demonstrate that it remained committed to growing in South Asia, not only in India. In Early 2005, Dr Lal PathLabs accepted a private equity investment of $ 6.5 million from West bridge Capital Partners when the enterprise was valued at $ 24 million. The talent pool of the Company then consisted of 50 pathologists, 30 scientists and 250 Lab technicians. In 2010, TA Associates another private equity company became an equal shareholder with West bridge Capital Partners at a record valuation of $ 230 million. The IPO in 2016 paved the way for the two private equity investors to divest partially and paved the way for new anchor investors and for the monetized listing of the Company’s shares that would facilitate future market-based trading in the shares. Between 2011 and 2015, the number of patients served and also the volume of testing had doubled. Between 2016 and 2020, it was expected to double again. More than 500 patient service centres were added between 2013 and 2015. 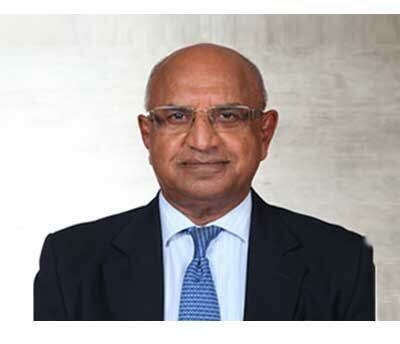 Dr. Arvind Lal was all along aware that he needed to develop an organization structure that would fit the evolving systems and emerging processes in response to the challenges that arose in the competitive landscape. It was dream of Dr. Arvind Lal to provide quality diagnostic services in all the parts of India in which he succeeded due to his analytical mind and innovations made from time to time and timely action according to requirement of business at that juncture. 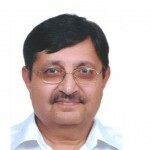 There are very few examples of doctors turned entrepreneurs in India and Dr. Arvind Lal is a star among very few shining at horizon of Indian healthcare Industry. Rightly so , Dr. Arvind Lal was conferred the All India Management Association (AIMA) ‘Entrepreneur of the Year’ Award 2016.